In November, 1966, the banks of the Arno River in Florence rose to record heights, breaking its embankments and flooding the city. Art and books stored in library and museum cellars steeped for days in water, mud, and sewage. In an unprecedented international effort, volunteers converged on the city to rescue these treasures. 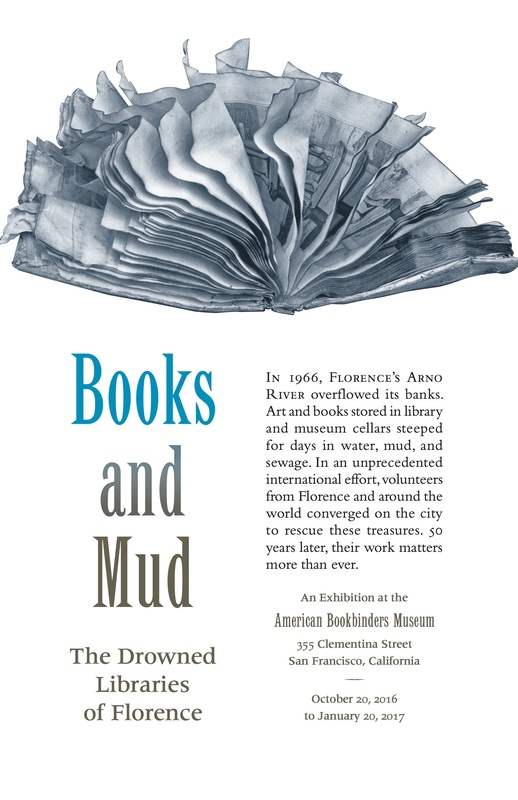 In celebration of the 50th anniversary of the Arno flood, the American Bookbinders Museum is pleased to host “Books and Mud: the drowned libraries of Florence,” an exhibition examining and commemorating the “Mud Angels” and the tools and techniques that were created to reclaim and restore hundred of thousands of books and documents devastated by the flood.